Standard tensioner for use with TuffStrap™ CW (woven) | CD (corded) | CP (composite) polyester strapping. Suitable for strap widths up to 19mm. For optimum performance please use our Galvanised TuffBuckles or Griptite TuffBuckles. 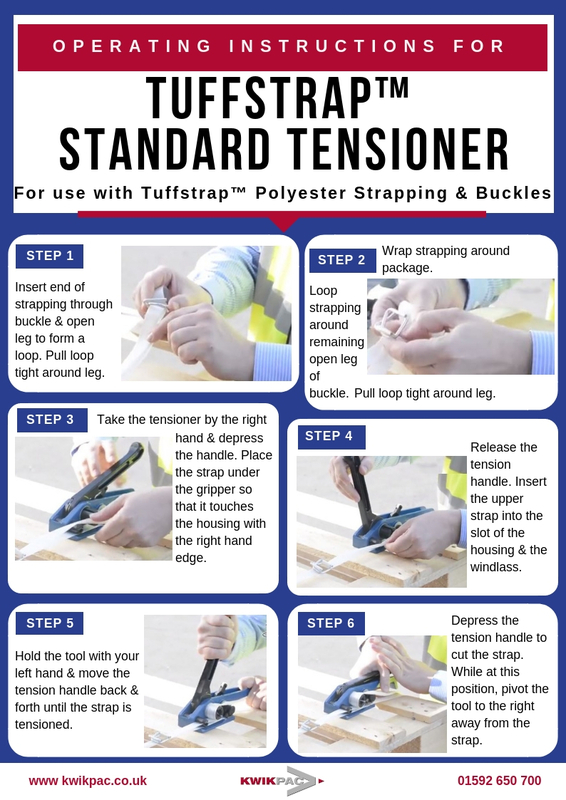 View operating instructions for the Tuffstrap™ Standard Tensioner. Standard tensioner for use with TuffStrap™ CW (woven) | CD (corded) | CP (composite) polyester strapping. Suitable for strap widths up to 19mm. For optimum performance please use our TuffBuckles™, with or without galvanisation.